A fantastic start to this year’s County Champs with our young age group squad (10-13yrs) showing great determination and racing skills in the water. 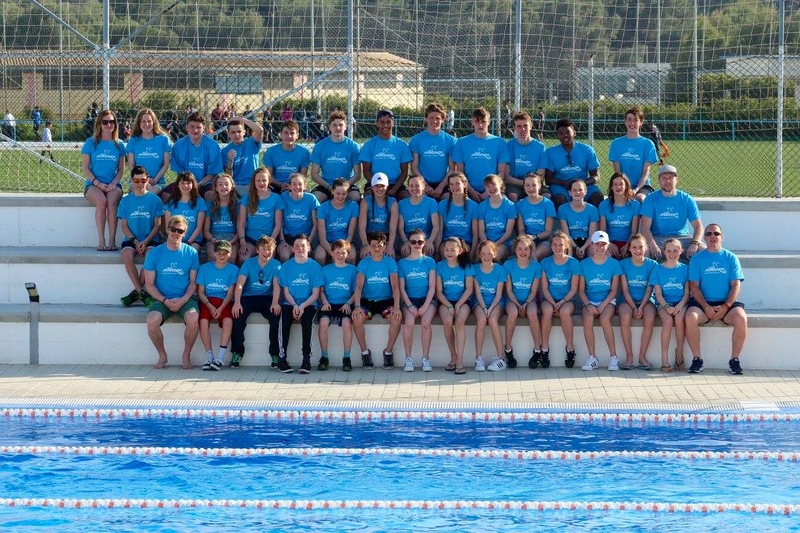 Eleven swimmers took part in twenty five events, with twenty two personal bests achieved,reaching six Finals (Finals are only for 50m & 100m events) and coming away with six medals on the first day. Asa Williams (11yr) had a very productive day at the pool hitting Pbs with every swim and collecting a medal in every event he entered. A silver medal was the reward for his 4 second PB in the 200 backstroke with a time of 2:48.35. A couple of bronze medals followed in the 50m &100m Freestyle events. Asa hit a Pb in the heats of the 100m Freestyle with 1:11.12 to qualify for the final when he hit another PB to grab the 3rd spot with 1:10.62. He then ended the day with a 32.37 PB in the 50m Freestyle heats and swam faster yet again in the final when 32.15 won him the bronze medal. Mabel Hayes (13yr) rose to the challenge of competing at Counties with a blistering start to the day in the 100IM. A good PB in the heats with a time of 1:15.40 was good enough to qualify for the final in 7th place. The final saw her storm to a silver medal with a new PB of 1:11.83 and a fantastic display of racing. Mabel was first reserve for the 50m backstroke final with another PB time of 33.36 and came 4th in the 200m breaststroke in 3:02.57 which was yet another PB. Rocco Giustiniani (12yr) battled his way to a second place and winning the silver medal in the gruelling 200m butterfly in a PB time of 2:44.88 and also hit a PB in the 100m freestyle with 1:11.44 which placed him in 17th spot. Helena Flynn (12yr) continued her good form shown during this years National Arena League campaign with a six second PB in the 200m breaststroke, her time of 3:10.95 secured Helena with the bronze medal. Anaconda also had finalists in the shape of Lily Waite (13yr) in both the 100m butterfly and 100IM. Lily hit PBs in both heats (1:13.00) and final (1:12.70) in the fly finishing 4th and secured a final berth in the 100IM with a PB of 1:15.67 in the heats and came 8th in the final. Rose Lin (12yr) made her way through to the final of the 100m butterfly with a PB time of 1:19.56 to finish 8th. 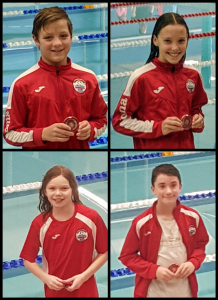 The squad was completed by Taran Thomas (13yr), Annabel Dewhurst (13yr), Chloe Baduna (13yr), Stephanie Skoplakis (12yr), and Sophia Bremen (13yr) who all contributed to the PB count with some excellent swims. 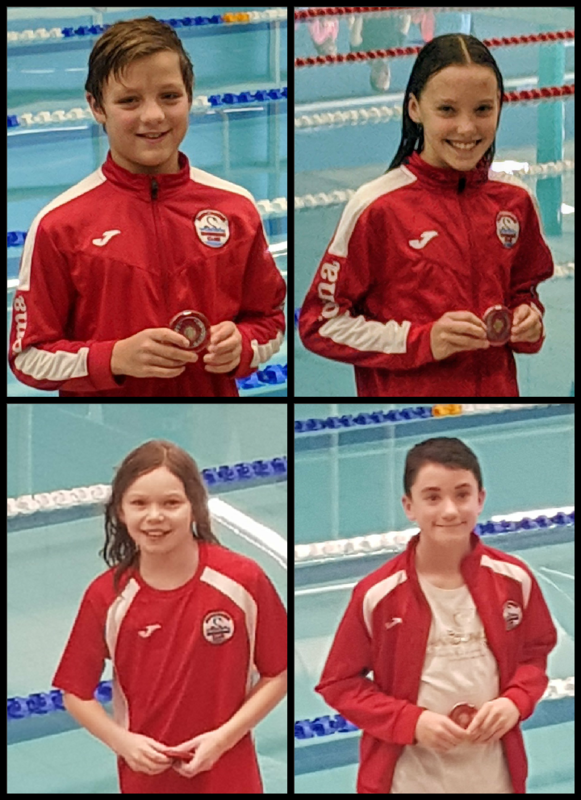 The girls really shone in the 200m breaststroke smashing their previous PBs by some considerable margin with Stephanie finishing 4th behind Helena in the 12yr old age group and Sophia, Chloe and Annabel finishing 5th, 6th and 9th respectively in the 13yr age group. Unfortunately racing was suspended on Sunday due to a drop in water levels at Southbury Road and this day will have to be rescheduled but next up are the Youth squad (14yr- Open) who compete next weekend at the London Aquatic Centre.